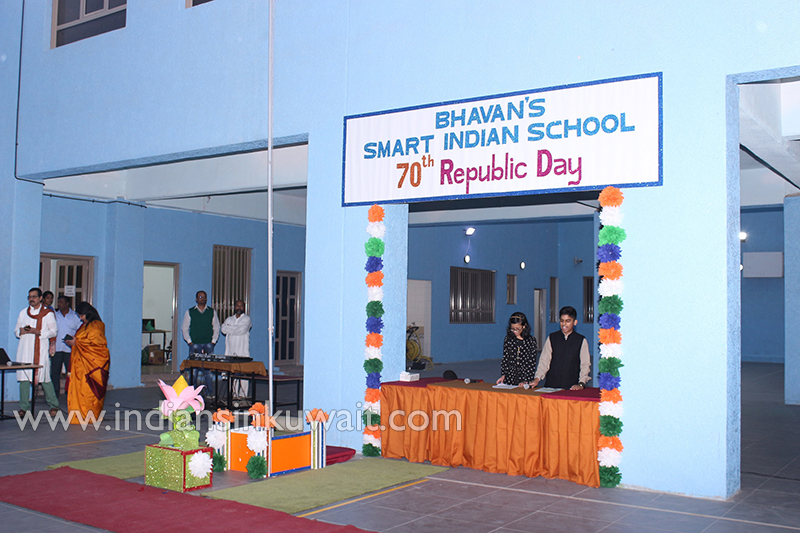 Bhavan’s Smart Indian School celebrated India’s 70th Republic Day with gaiety and fervor along with its sister concern, Indian Educational School on 26th January 2019 on its premises. 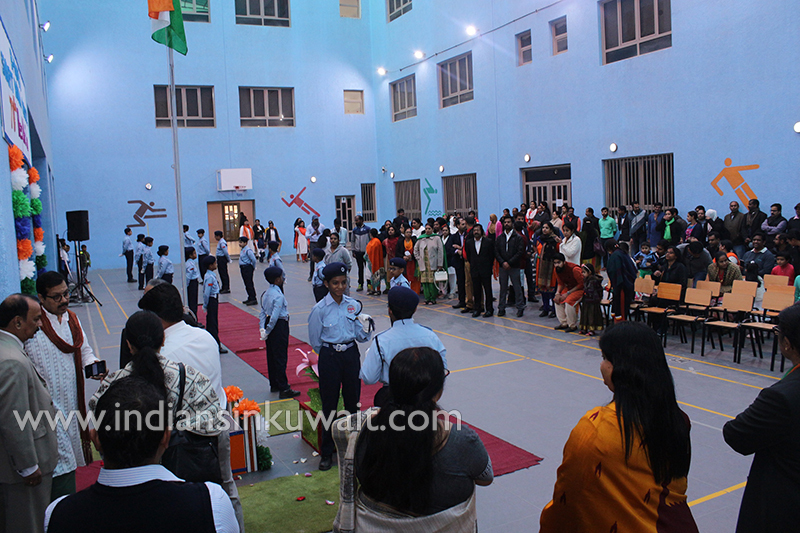 The special day was graced by the Principals and Vice Principals of IES, Jack and Jill and SIS, KG supervisors and many parents of the school. 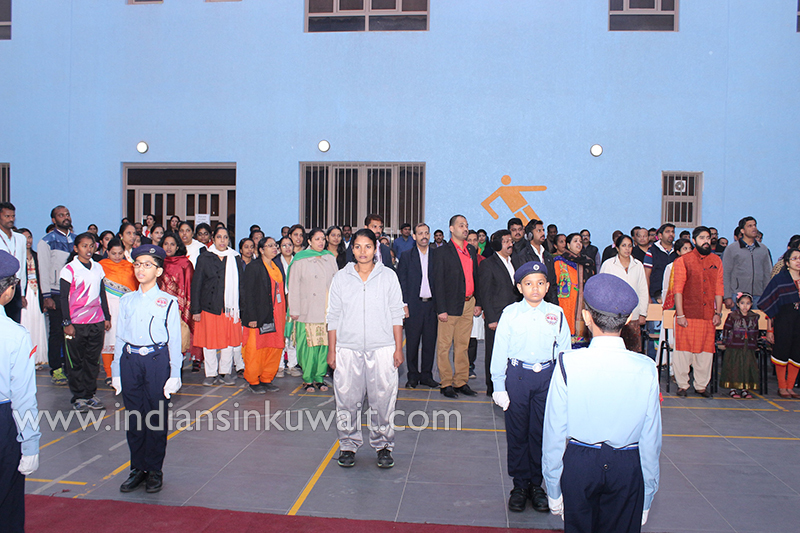 The students and staff took pride in glorifying and celebrating the spirit of unity as the parent community of the school joined the Bhavans fraternity for the first time in the chronicles of Bhavans on this red letter day. Many programs were held with utmost veneration and admiration to mark the auspiciousness of the day. 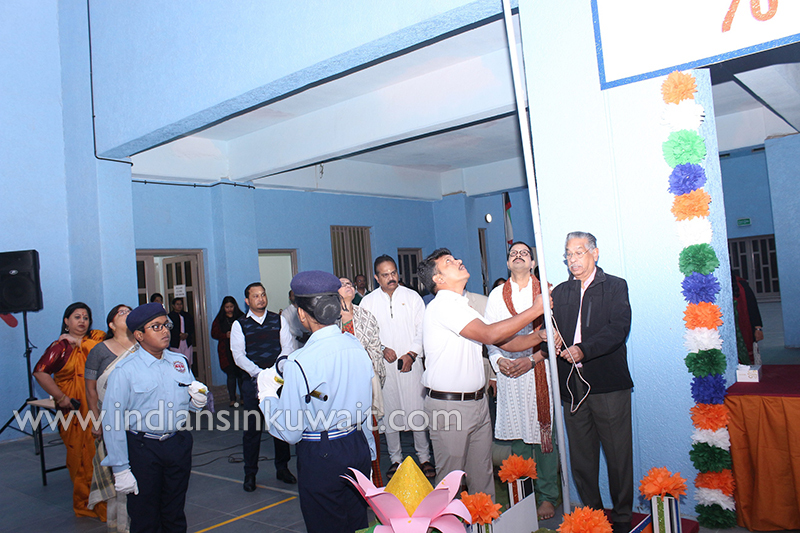 The glorious aura was kicked off by a senior grandparent of the student Aumkara from UKG Taurus, Mr. T.K. 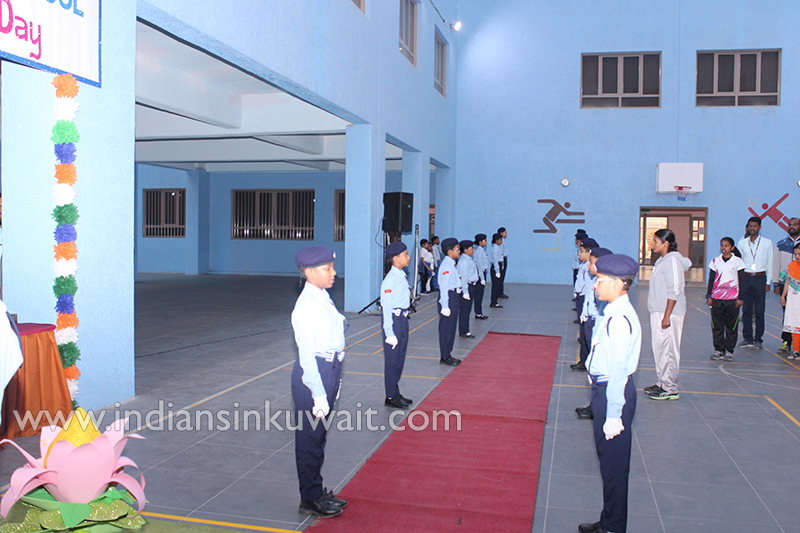 Madhavan Nair being escorted by the heads of the schools with the elegant guard of honor by Bhavan’s Service Scheme cadets. 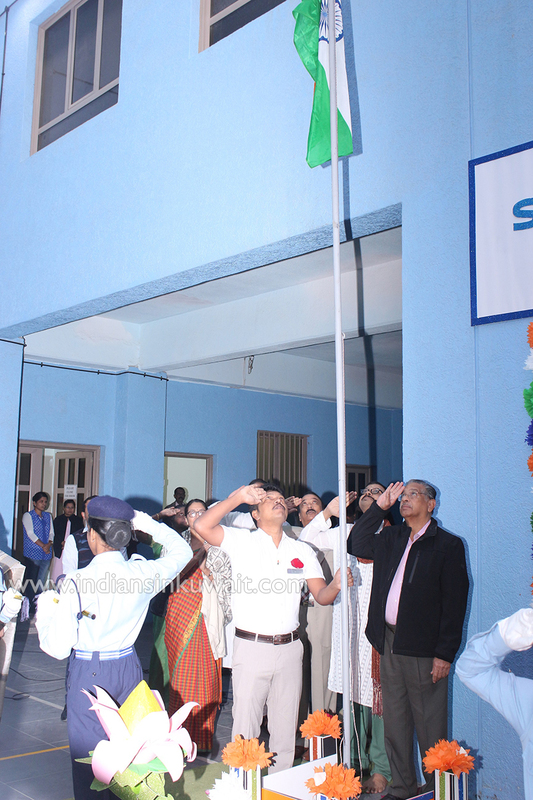 The guest hoisted the tri-colored flag which fluttered high. It was followed by the revered national anthem sung in unison. The President’s speech was read out by the Principal Mr. Mahesh Iyer with a message to disseminate the duty that each Indian is bestowed with. The head boy of the school Joshua Thomas stretched out a warm welcome to the gathering. 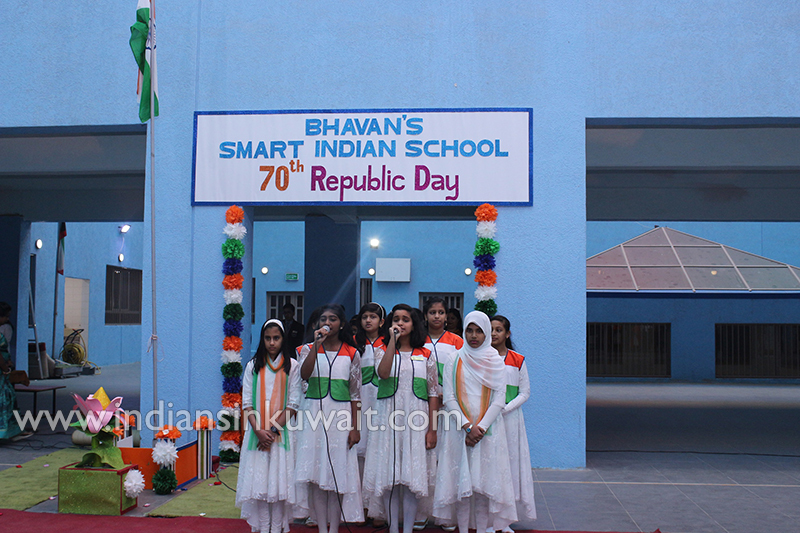 The school choir sang in praises of India’s glory, selfless service of the martyrs and unshakable determination in each move of its progression. 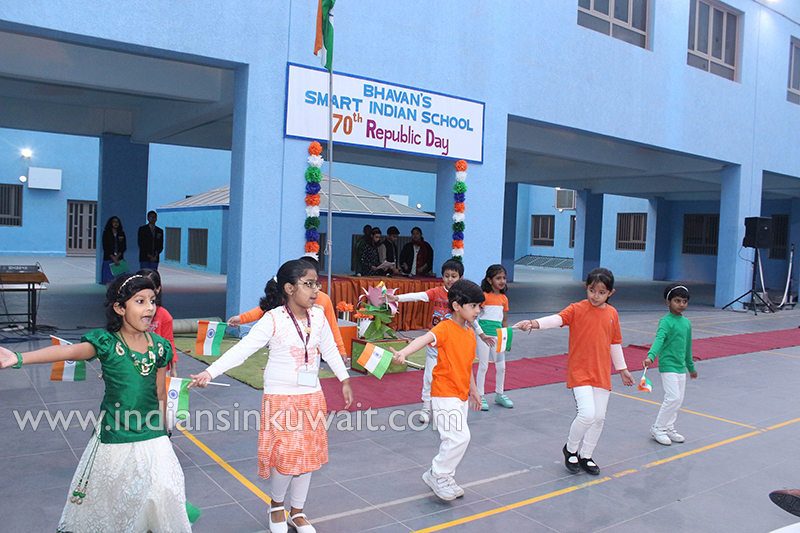 The lovely students of grade 1 coloured the dais with their graceful dance that attracted the attention of the admirers. 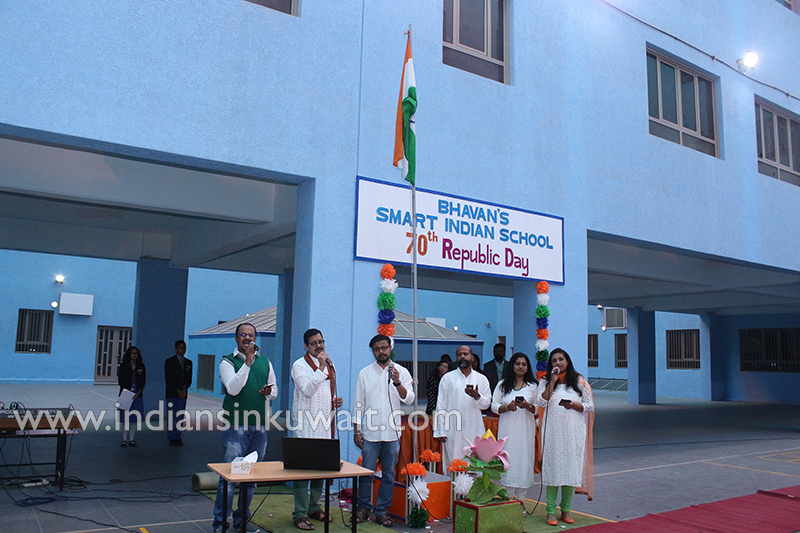 The members of the band ‘BHAVAN’S EUPHONIC STRINGS’ who make their presence felt in all the celebrations of the school took their inception to sing the patriotic number which appealed both senses and emotions towards oneness. 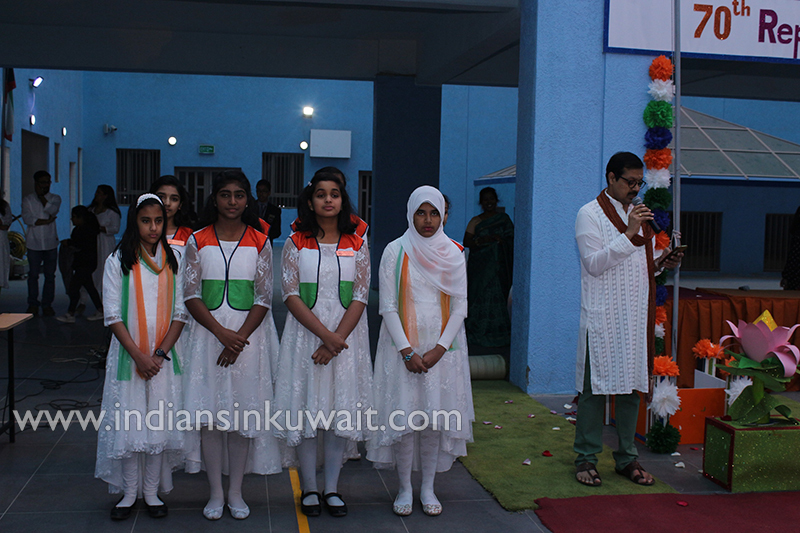 A special song was sung by a parent - Mrs. Sigi who garnered a tremendous applause from the audience for another patriotic number. The dance rendered by the dance teacher Ms. Lakshmi signifying the importance of the day’s program brought out the colourful spirit of India. The day thus had a pleasant turn by ending with a vote of thanks by the school head girl Caren Ann Thomas and with a sweet to sweeten the rest of the day.